OUTSTANDING CHAPARRAL HOME ON 5+ ACRES! This Property is Fully Updated; Granite throughout, Hardwood and Tile Flooring, Stainless Steel Appliances, Hickory Cabinetry, Over-Sized Master Bathroom with HUGE Double Shower and Custom Bar for Entertaining. Large 4-car garage offers ample enclosed parking along with 2 storage buildings. 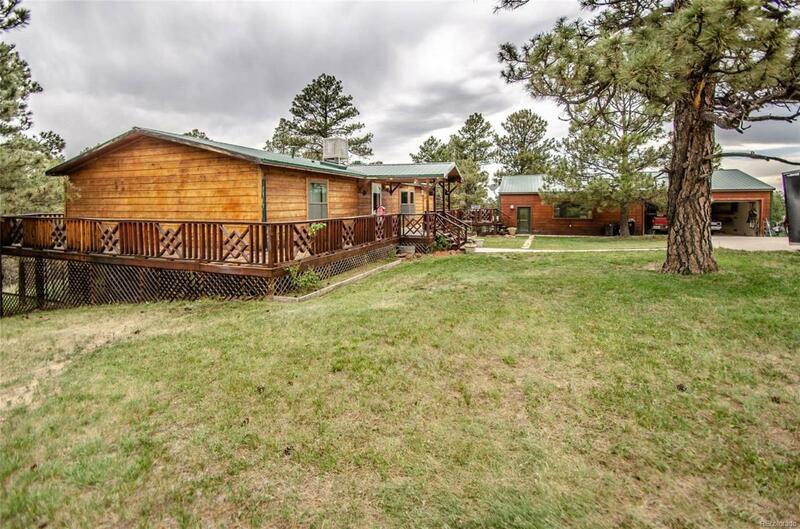 Beautiful setting surrounded by rolling hills and pine forests. Plentiful wildlife on the property include deer, turkey, antelope, hummingbirds and the occasional herd of elk. Enjoy the peace and quiet on the huge wrap around deck. Short commute to many surrounding towns and cities. No HOA so hunting IS allowed. Don't miss out on the opportunity to own this wonderful property!